Truly an oasis in the desert, *Desert Isle of Palm Springs* is the perfect place for that long or short getaway, club retreat, or family reunion! This beautiful resort offers luxury condominiums at an affordable price, on site massage, and discounted golf rates from some of the desert's finest courses. On site amenities include a fitness room, dry sauna, three therapeutic spas, and two 50-foot heated pools. For further enjoyment, you have two tennis courts for day or night use, two indoor racquetball courts, as well as an outdoor volleyball court. Desert Isle also has ping-pong and pool room for the amateur or professional, bocce ball, horseshoes, and much, much more. Discover more by visiting www.desertisleresort.com. Prime week 40! Beautiful resort close to many activities for all ages! Close to Downtown, Casinos, and Golf Courses! 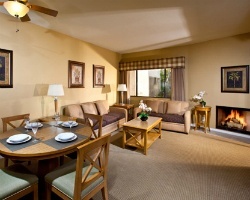 Beautiful resort with luxurious accommodations! Week 46 during odd years! Buyer may receive a title fee credit, inquire for details! Annual red season week 21! 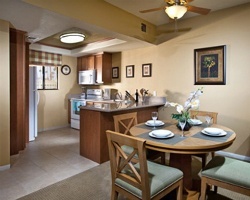 Custom unit #43 only unit at the resort with 2 floors! Buyer May Receive A Title Fee Credit, Inquire For Details! Price Reduced! Available every year during Thanksgiving! Seller Motivated! Buyer May Receive A Title Fee Credit! Resort is close to many activities available for all ages! Annual week 51! Christmas Week! Inquire for details! Resort is close to many activities available for all ages! Buyer May Receive A Title Fee Credit, Inquire For Details! Great October week at this retreat in sunny California! Buyer may receive a title fee credit, inquire for details! Beautiful retreat in California! Week 23 every year! Buyer may receive a title fee credit, inquire for details!